It takes maturity to have childlike faith. I defined childlike faith as “complete trust in our Daddy, even when it does not make logical sense in the mind of a wise and clever grown-up.” That “wise and clever” verbiage comes from the words of Jesus in Matthew 11:25-26, in which he thanked the Father for “hiding the truth from those who think themselves so wise and clever, and for revealing it to the childlike.” Truth is hidden from these people because of their own self-righteous attitudes. When you and I grow out of our adolescent mind-sets and become mature, then, and only then, can we become childlike in our faith. Then God, rather than ourselves, becomes sufficient. But here’s the rub. Some people, perhaps many people from my observation, are still adolescents when it comes to their faith. Years as a Christ-follower have nothing to do with it. Trust and surrender are the keys. What keeps people from trusting God rather than themselves? Many things. One that I’ve observed comes from a mistrust of important authority figures in our lives. How can we have complete trust in our Daddy, even when it does not make logical sense, when our trust has been shaken or shattered by a less-than-perfect human mom- or dad-figure in our lives? I want to be very clear. We must be discerning in our human relationships. When we have experienced manipulation and abuse especially from a parent, chances are we will need help to overcome this. We may need to put up some boundaries. 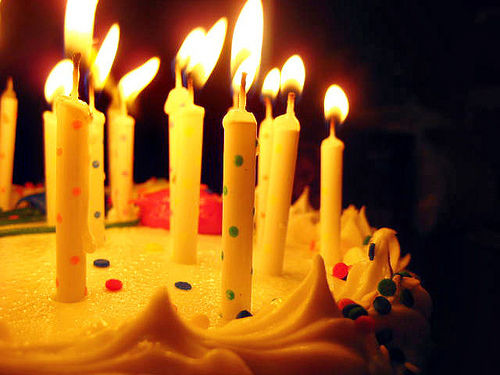 We need to do some work in our lives to put more candles on our birthday cake, as one counselor friend puts it. And we need our Heavenly Daddy to help us do all this! But how? How do we make the leap of trust? By acknowledging the truth: God is trustworthy. He never fails. He never gives up. He never leaves or forsakes us. He is worthy of our trust even when our human models fail us. I want to encourage you as you read this today. Trust your Daddy–your Heavenly Father, that is–audaciously, unreservedly, unhesitatingly. You are not so wise and clever to figure this out for yourself, so surrender that to him. You need him to add more candles to your cake so you can become more childlike. I’d love your feedback on this. Have you experienced this battle for trusting God? How so?